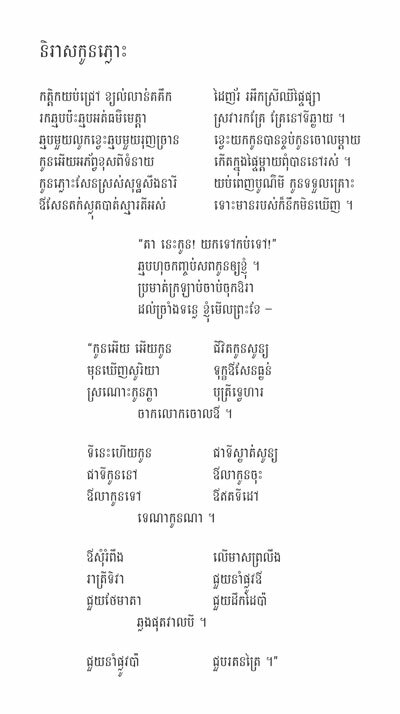 A bilingual edition, Khmer, with English translation on facing pages. 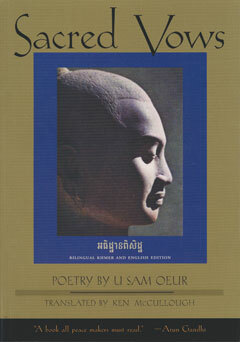 Sacred Vows was a finalist for the 1998 Minnesota Book Award in poetry. Available through Coffee House Press and Amazon.com. the other reached into my wife’s womb and ripped the babies out. choked them and wrapped them in black plastic. “Here, Ta!” the midwives handed me the bundles. and carried them to the banks of the Mekong River. only your souls look down at me now. forgive me, daughters; I have to leave you here. may your souls guide me and watch over your mother. TA: Colloquial for “Old Man” —used pejoratively.